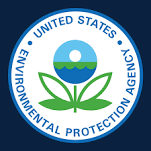 CDG Environmental’s products enjoy an impressive amount of approvals, listings, registrations & certifications across a number of federal and state agencies. CDG SOLUTION 3000™ liquid concentrate chlorine dioxide is EPA and FDA approved & OMRI, Star-K Kosher & NSF certified. It is DOT-approved for surface transportation. CDG SOLUTION 3000™ liquid concentrate chlorine dioxide is FDA & USDA approved for anti-microbial uses with poultry, fruits & vegetables & red meat. CDG SOLUTION 3000™ liquid concentrate chlorine dioxide is listed by the Organic Materials Review Institute (OMRI) for use in certified organic production, food processing, livestock handling & crop management. CDG SOLUTION 3000™ liquid concentrate is Star-K Kosher Certified. CDG SOLUTION 3000™ liquid concentrate chlorine dioxide is Department of Transportation approved for surface transportation. CDG SOLUTION 3000™ liquid concentrate chlorine dioxide is certified by the National Sanitary Foundation (NSF) under the NSF/ANSI Standard 60 for drinking water treatment and non-food compounds categories G-5 and G-7. CDG SOLUTION 3000™ liquid concentrate chlorine dioxide is registered by the CA-DPR and approved for use in California. Approved use includes potable water purification and slimicide for use in hospitals, institutions, commercial facilities and farms. GAS:SOLID™ system and SAF-T-CHLOR™ solid-form sodium chlorite are approved by the Massachusetts Dept. of Environmental Protection for use in the disinfection or pre-treatment of drinking water. SAF-T-CHLOR™ sodium chlorite is an EPA-FIFRA registered anti-microbial pesticide approved for use used in conjunction with GAS:SOLID™ system generators. SAF-T-CHLOR™ sodium chlorite, used in conjunction with GAS:SOLID™ system generators, is certified by the National Sanitary Foundation (NSF) under NSF/ANSI Standard 60 for drinking water treatment.